Monday – I remember waking up a lot later than planned, since my alarm didn’t wake me up, and I did Focus T25 Total Body Circuit. I cut it close and got to work just in time. 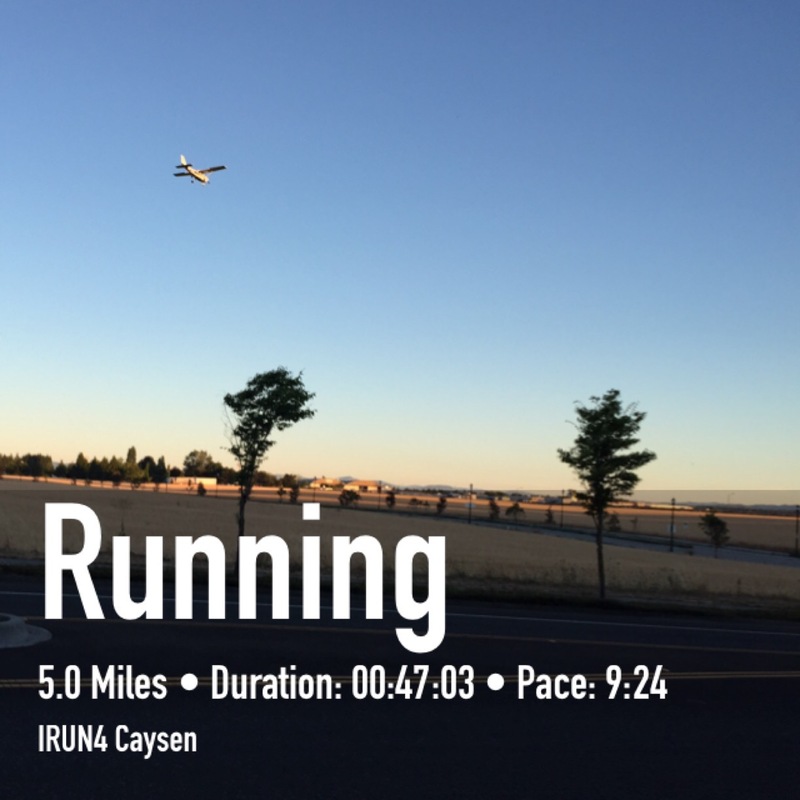 Tuesday – Ran 5 miles before heading up to Seattle. 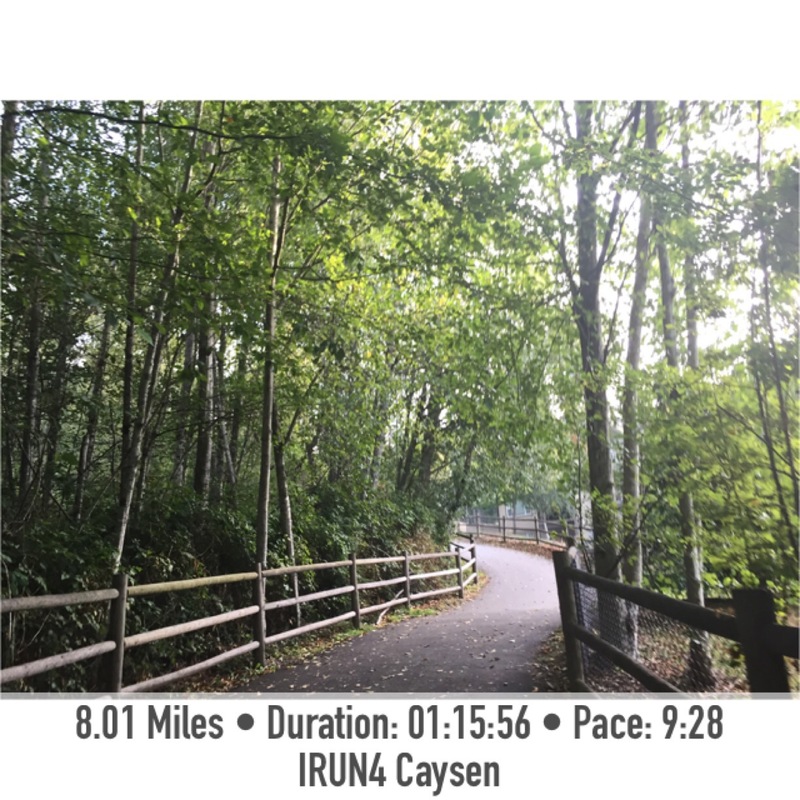 Wednesday – 8 miles. It was nice to run on this trail again by my parent’s place. 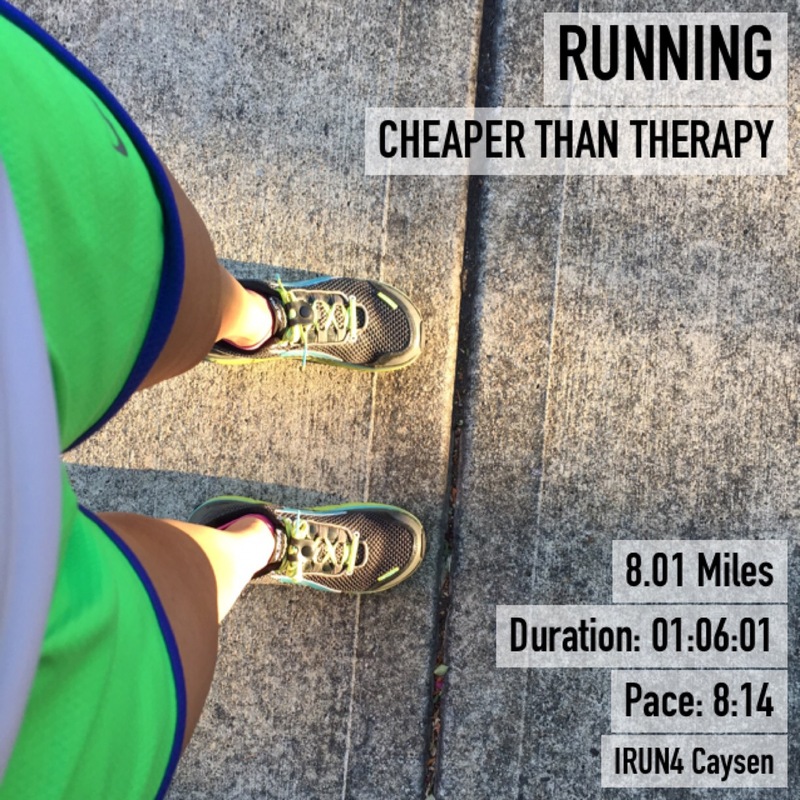 Thursday – Running Rest Day. 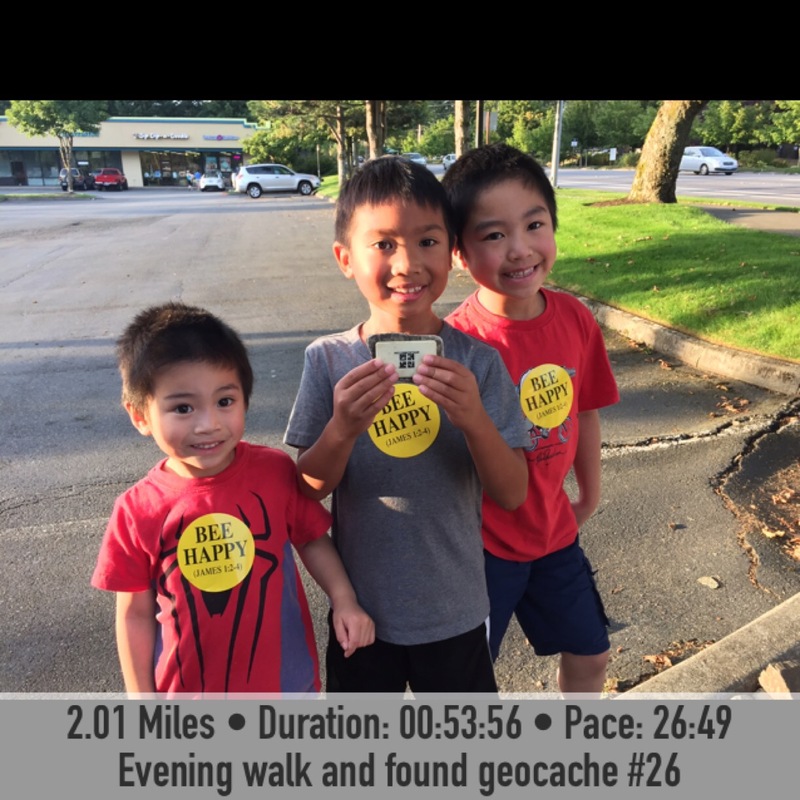 Ended up walking 2 miles and went geocaching. 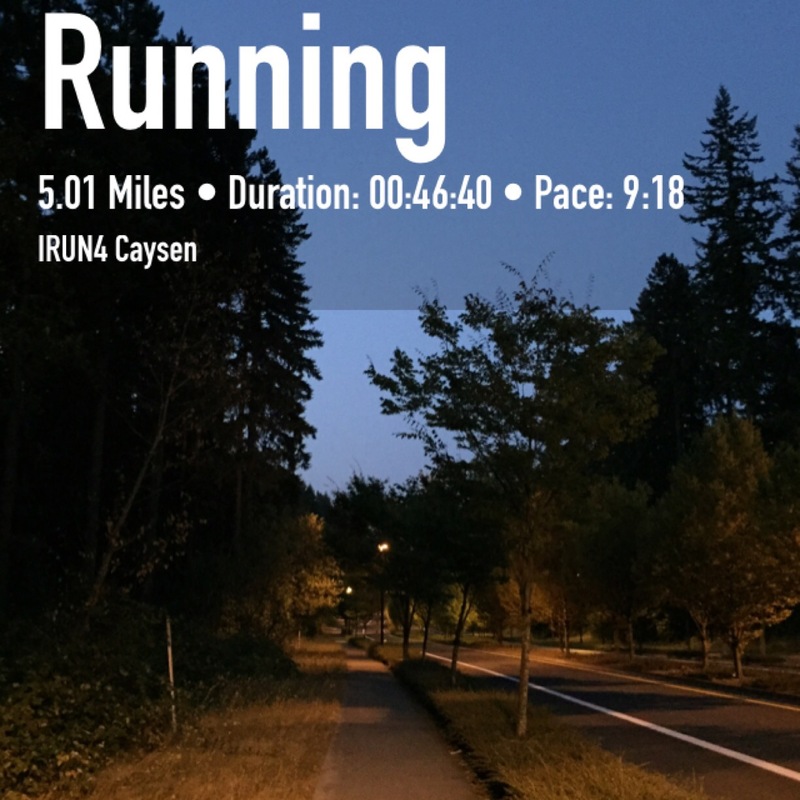 Friday – Ran 5 miles. 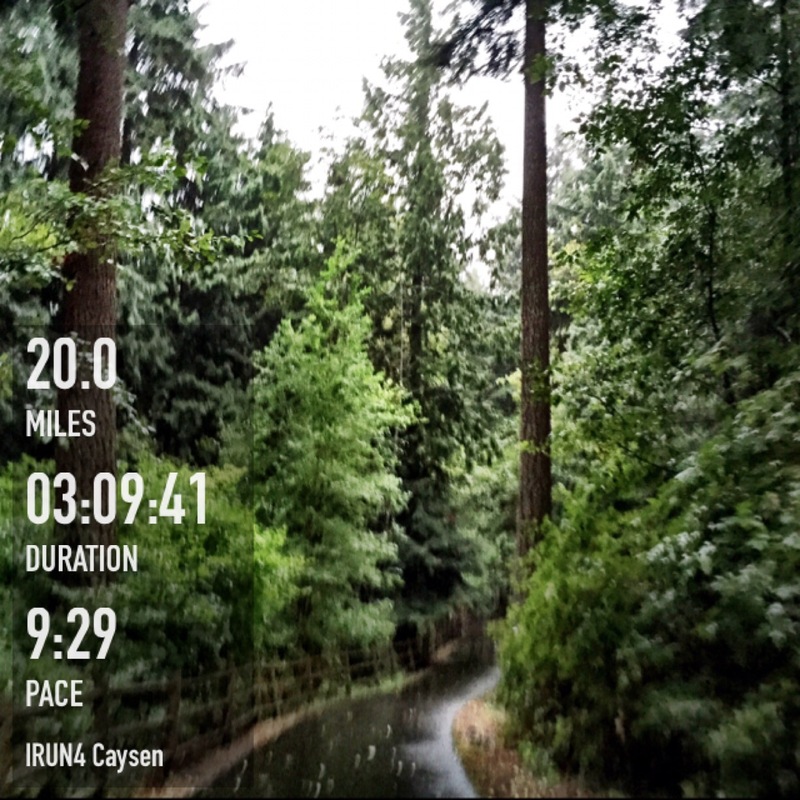 Saturday – Ran 20 miles. Sunday – Rest Day. I am feeling a little sore, and it seems to be my glutes. How did your week go? How’s your training going? 2. 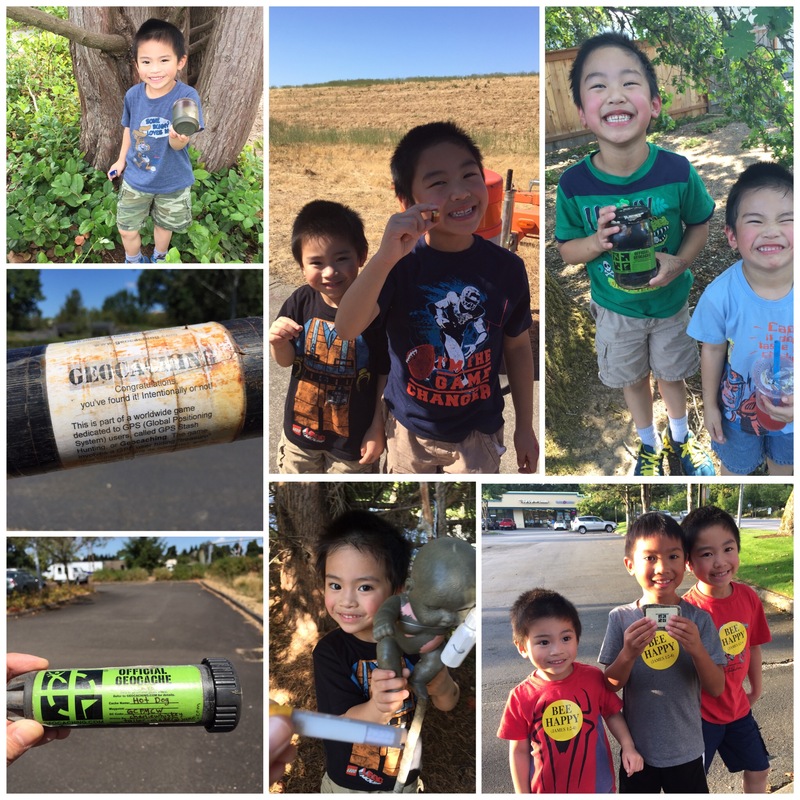 Started geocaching. This is a fun activity to do with the kids. It’s modern day treasure hunting using GPS. There’s been some really cool and unusual ones we’ve found. 3. 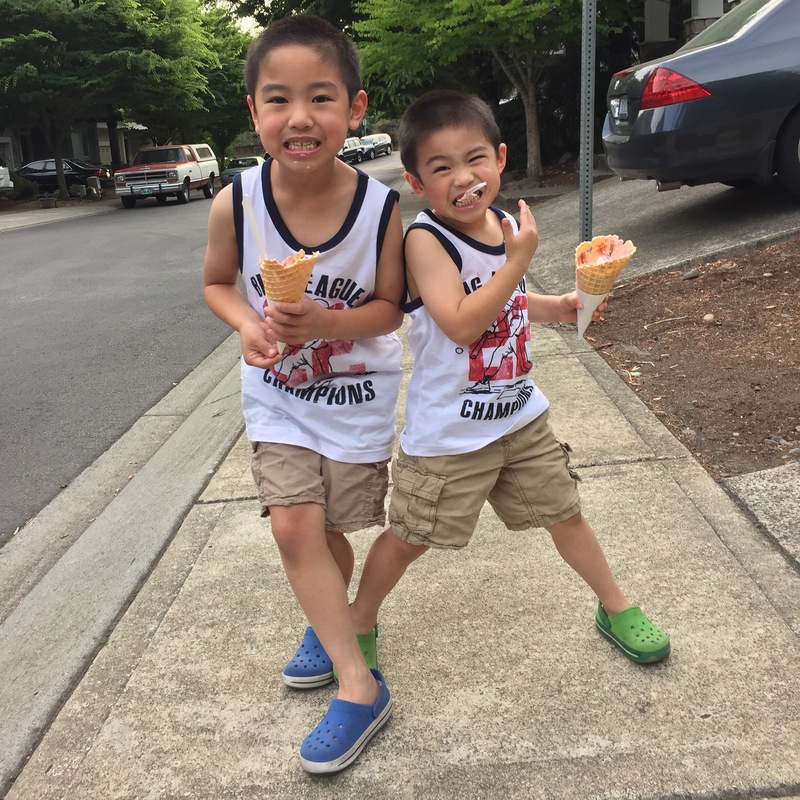 Went to our first local minor league baseball game. 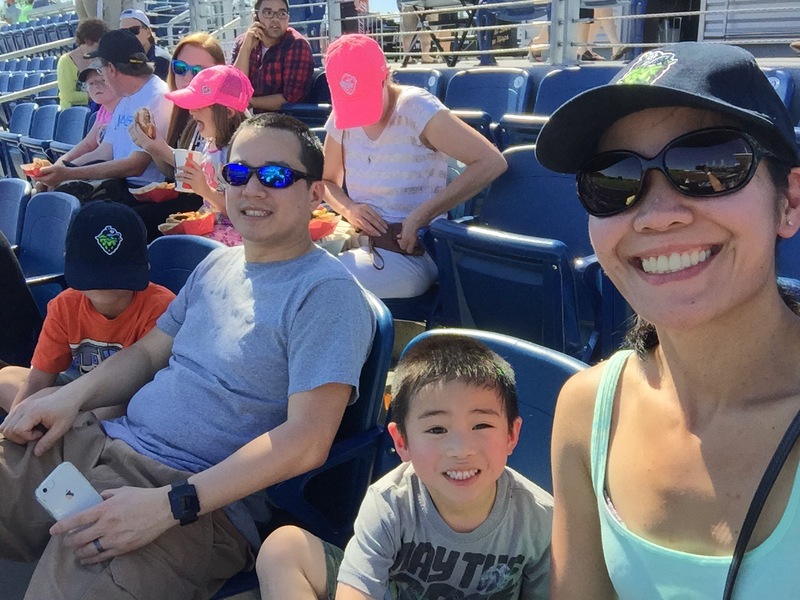 We had a fun time seeing the Hillsboro Hops play the Everett AquaSox. 4. 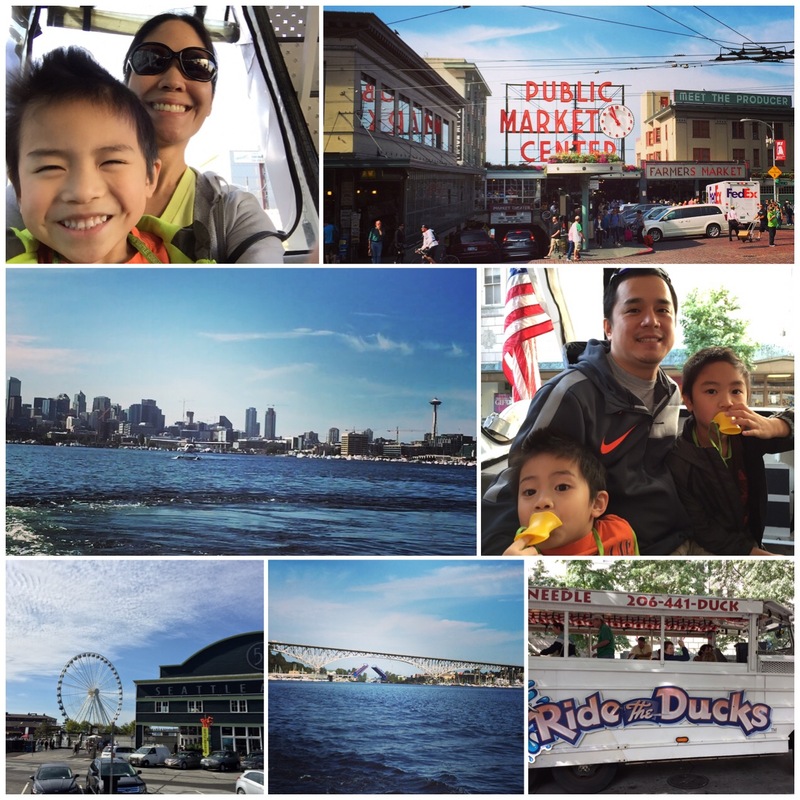 Finally did the Ride the Duck Tour in Seattle. It’s a fun one that I recommend. It’s pretty cool to go in the water on Lake Union and see great views of Seattle. 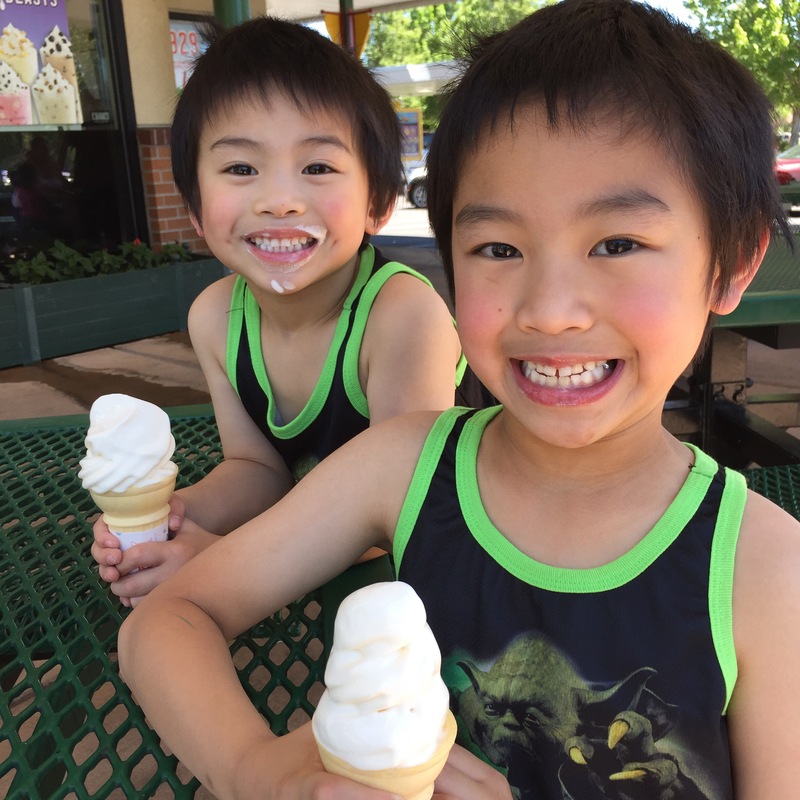 Summer isn’t officially over yet, but what’s your favorite thing you’ve done this summer? 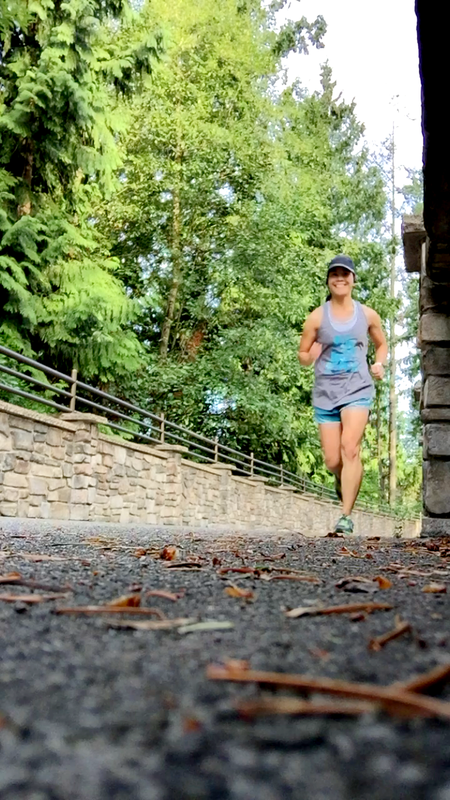 Six more weeks to go until my first marathon! Training is still going good. Mileage decreased a little. 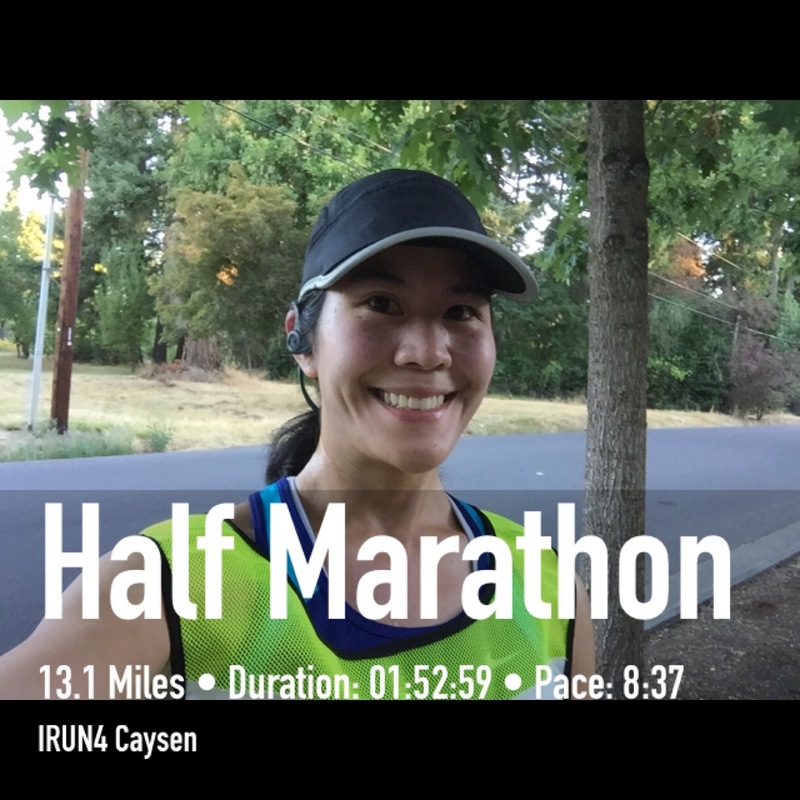 I ran 31 miles compared to 39 miles the previous week, which is still a lot for me. I’m still managing to wake up early enough to get my runs in but in one case I missed my alarm on Friday so I had to run in the evening. Thankful that I’m able to get it done! Monday – Cross training day. 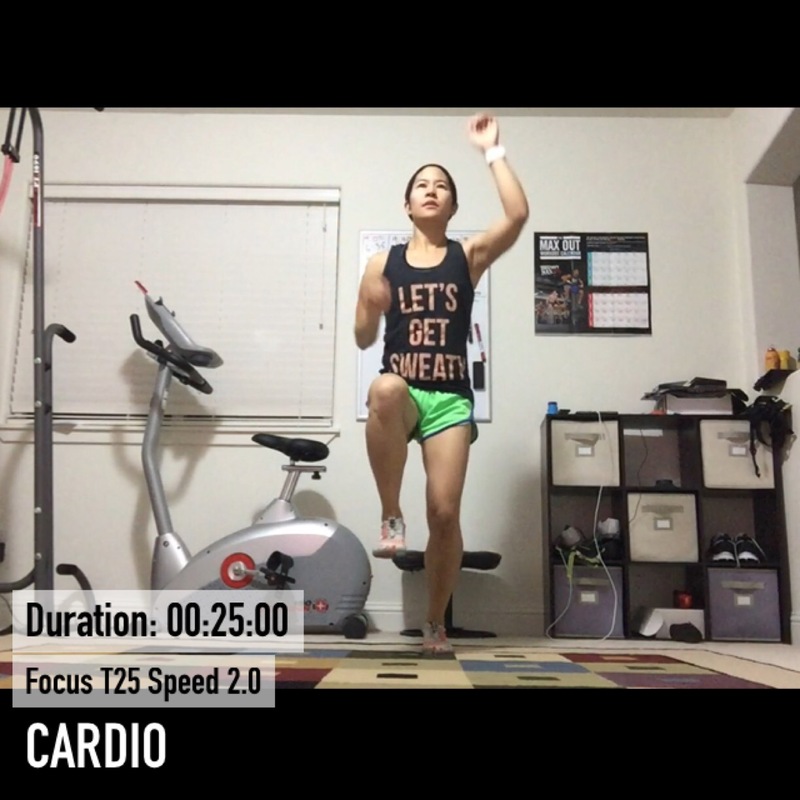 I did Focus T25 Speed 2.0. It’s a good, fast paced workout that makes me sweat. 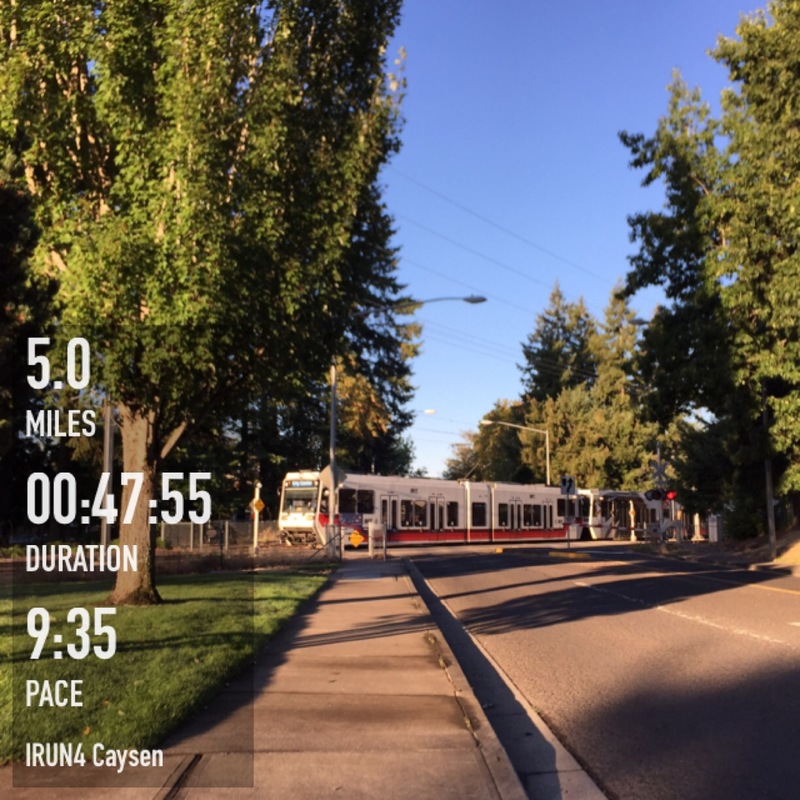 Tuesday – Started the day with a nice 5 miles. 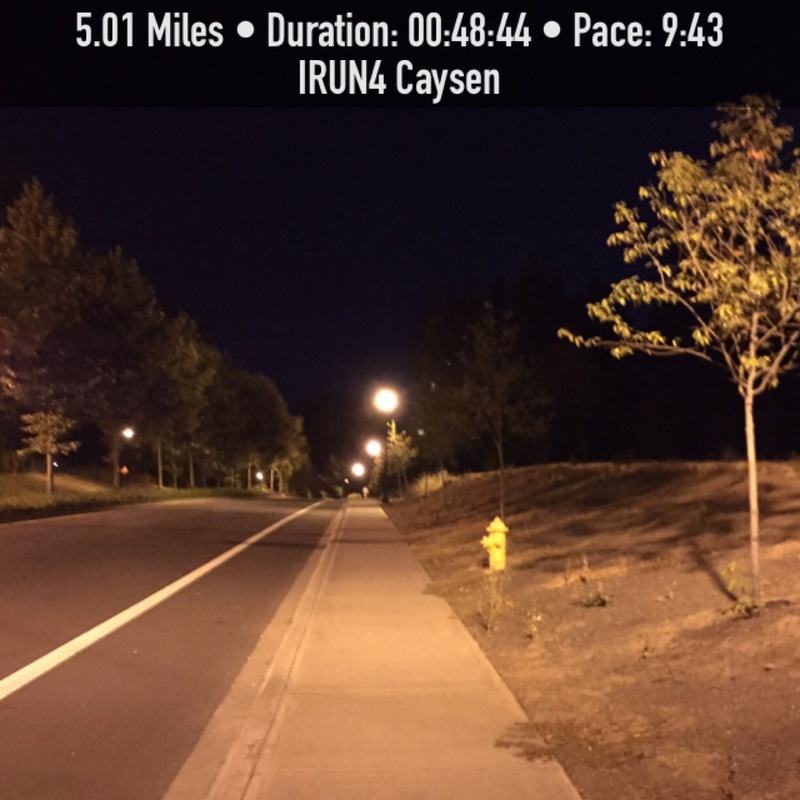 Wednesday – Another early morning 5 miler. 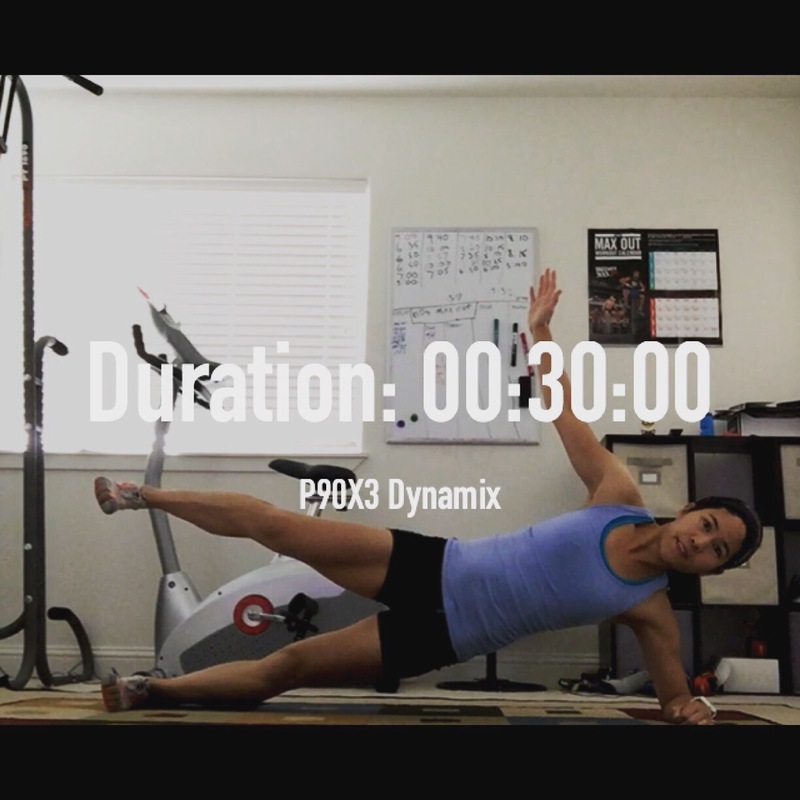 Thursday – I did P90X3 Dynamix, a great recovery workout with dynamic exercises and stretches. 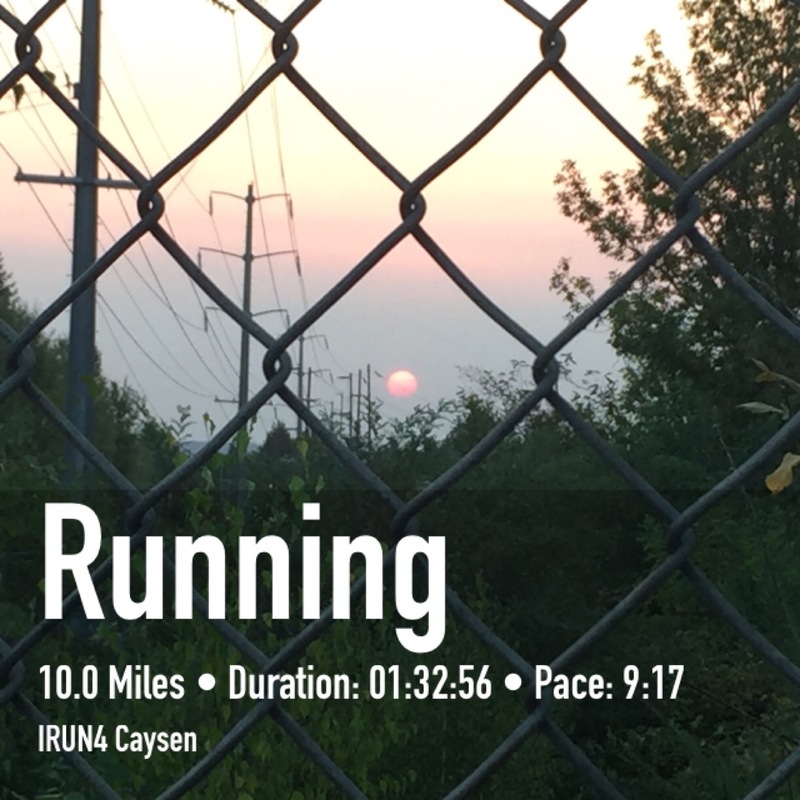 Friday – Ran a fast evening 8 miler. I probably wasn’t supposed to run it that fast but it felt good, and at the end I decided to run a fast mile for the weekly challenge in G+. I ended up running a 7:32 mile for mile 8. I’m not sure if it was the spaghetti I ate or the Energy and Endurance Formula I took beforehand lol, but I sure went fast. Saturday – After my evening run the day before I still woke up early to get my total 13 scheduled miles. I ran 10 miles before hubby went to work and the last 3 miles were on the treadmill. The thirteen miles were ok, just another training run that felt fine. But I’m getting anxious about my 20 miler this weekend. It will be my longest run ever! Monday – Cross training. 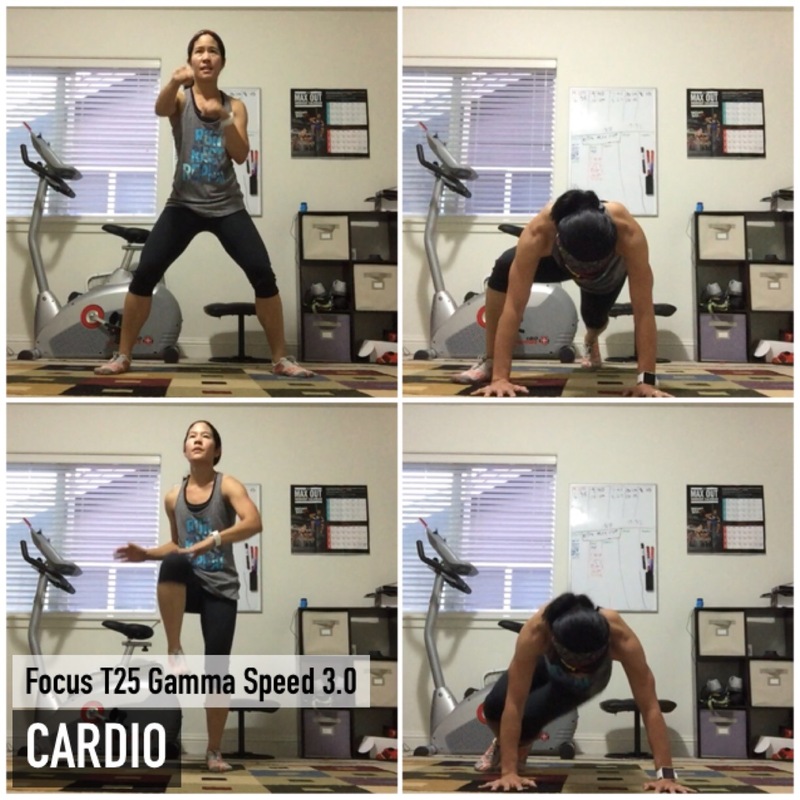 I did Focus T25 Gamma Speed 3.0. I had a great sweat session. 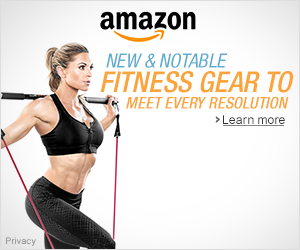 There’s lot of burpees in this one. 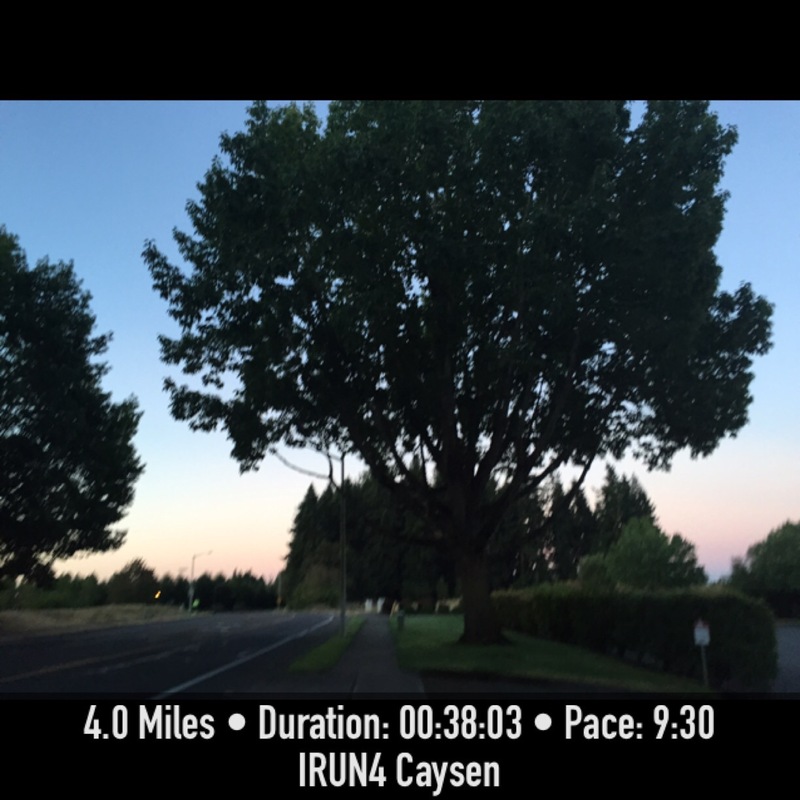 Tuesday – Early morning 4 miles. 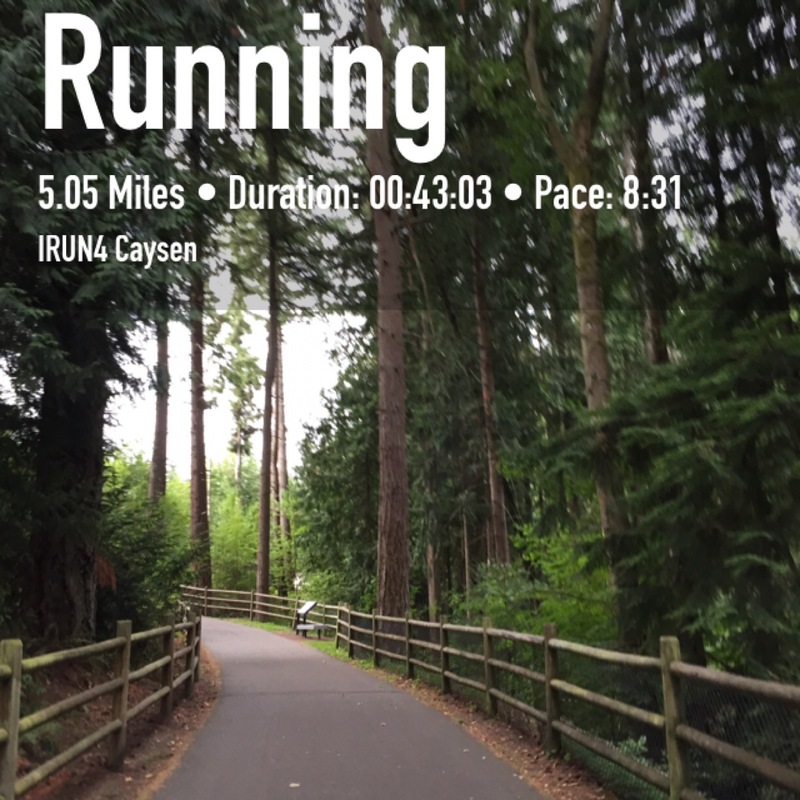 Wednesday – Ran 5 miles. Thursday – Rest Day. 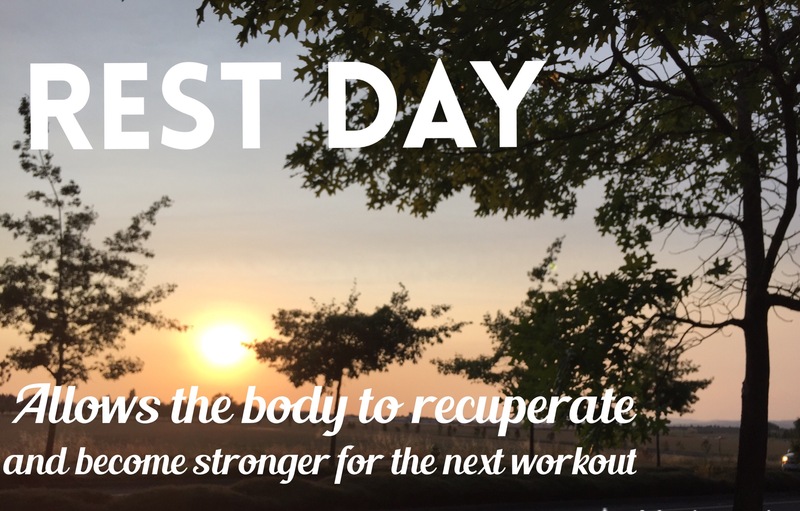 Friday – Another Rest Day. My first marathon is just two months away. Things are getting exciting since my long runs will be my longest runs ever. But I’m not sure how I’m going to run my next long run which is 17 miles on Saturday. I will most likely have to split it up and run some outside and the rest on the treadmill since I have to be home before my husband goes to work.